Something that we had planned to visit since it opened on May 12th the Mishra’s chaat place. Dharwad Pedha is something that has become part of Dharwad cuisine culture. Actually is an immigrant from Mathura. In 1933 Avadh Bihari Mishra came southwards in search of fresh business pastures Dharwad beckoned him with open arms. The business began with sourcing the right milk source making the Pedhas. Early days the vending happened on a bicycle. Thus Avadh Bihari Mishra created a new market and a new culture that embedded him deep within the ethos of a conservative Dharwad society. The first store was opened on Subhas Road in 1933, and it had a turnover of 30 paisa daily in the pre-independent India. The business gradually grew to 30 rupees to 30+ thousand a day in the same teeny shop. His only competitor being another UP-ite Babu Singh Thakur Pedhas. From that tiny shop in Subhas Road Avadh Bihari Mishra, succeeded by his son Ganesh.A.Mishra and now Ganeshji’s son Sanjay.G.Mishra have experimented and expanded conquering newer territories and launching newer products. Pedhas of course are their mainstays and identification. In addition to it they have Faraal (savoury knacks also called as farsaan or namkeen.) Bakery products, Bengali sweet range, pastries, kulfi and others make it a total of 300 regular products. If seasonal products like modhak during Chaturti are taken into consideration then the product count would rise to 400. A year ago the Big Mishra Pedha group decided to invade the market with 150 outlets in Karnataka. The target this year is 250. 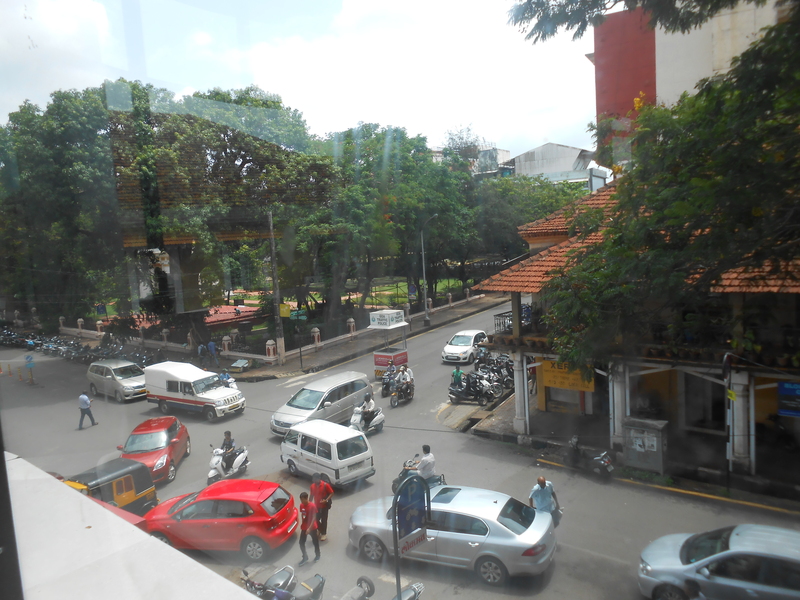 In addition to it there are outlets in Pune and Panaji. The concept for Karnataka was it should be a part of the neighbourhood psyche that people would pick eateries confidently and routinely. This year the venture has been to introduce the chaat range. 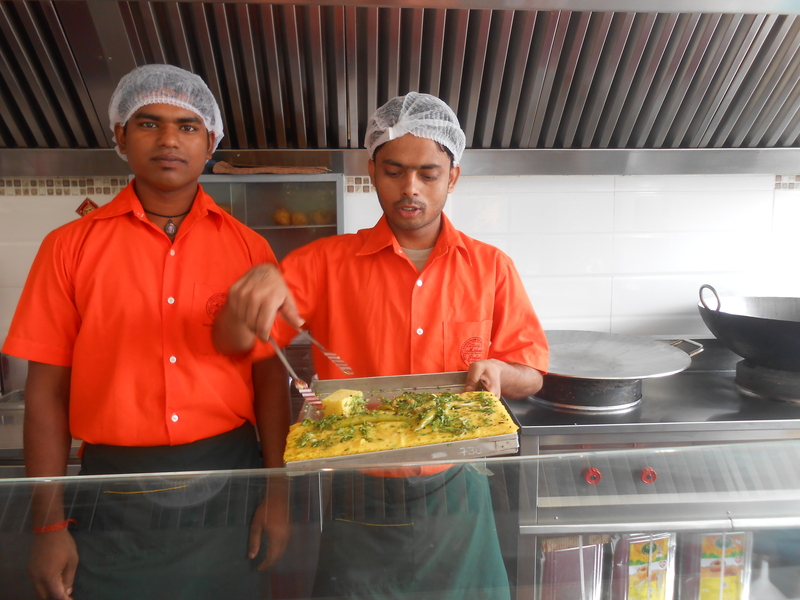 People would like to enjoy chaats in clean environment at a reasonable price that’s what Big Mishra Pedha offers and delivers at Panaji. Ravikiran.B.Patil, who looks like that undergraduate kid next door has been managing the operations since the sweet-mart opened on Dec.7th. With the best Katchori’s Samosa’s and of course other routine Indian sweets. What my family I like about the restaurant was the open airy ambience. The friendly staff. Who really tempt you with small samples (not good for my waistline) the chaats are tangy without being overtly spicy that goes for the Paav-Bhaaji too. There is a surprise ingredient I will not spoil your fun by revealing it. But that ingredient definitely alters the presentation of the standard fare. It was a pleasure to hear the pride in Ravikiran’s voice when he spoke of the new four storied premises that Big Mishra Pedha had acquired at the kittur Chennamma circle Hubli. This premises, housed their factory, the dispatch point and a retail outlet. Sure ritzy182000 hogging without guilt is a great luxury of life. You are a lady after my own heart! My mom had a colleague named Dr. Dixit who was from Dharwad. Everytime Uncle went to Dharwad for vacation, we requested pedas and kunda! 🙂 Sure, make a trip to Goa and I shall take you to the place. 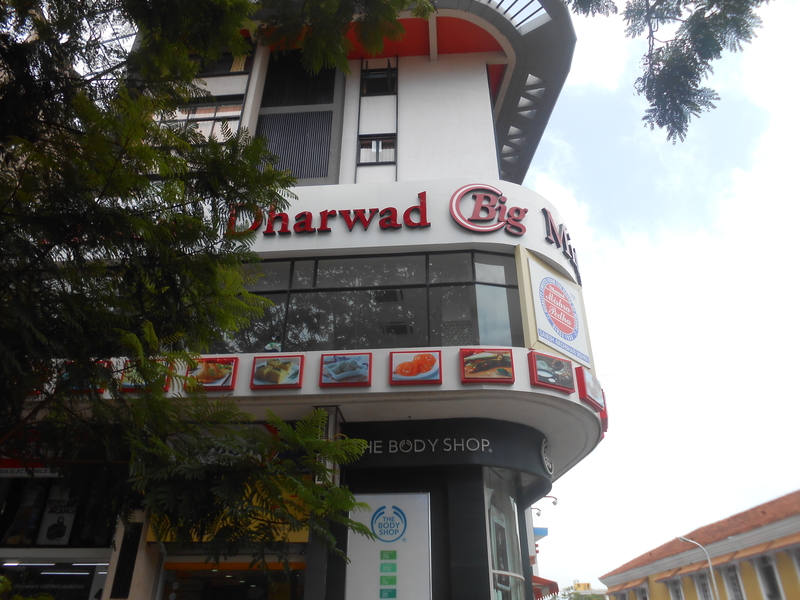 At Dharwad which is incidentally my sasuraal I cannot promise as it is such chaos one would have to book ahead.